Your budget (or lack thereof) should not keep you from that travel adventure of your dreams. I scraped and saved while on a college budget so that I could go live in Mexico and volunteer during my summer break from school. And then I did it again and again - seeing more than 20 countries as a volunteer! No, I'm not rich. Nope, my parents didn't pay for it. I'll tell you how I did it below. It takes work and it needs to be a priority for you, but it's totally doable. And guess what? We have all the tricks right here to make it easier and more affordable than you think it is. This is probably the most important thing you can do to make your semester abroad affordable. Before you can start figuring out how to pay for your adventure abroad, you need to know how much it will cost. 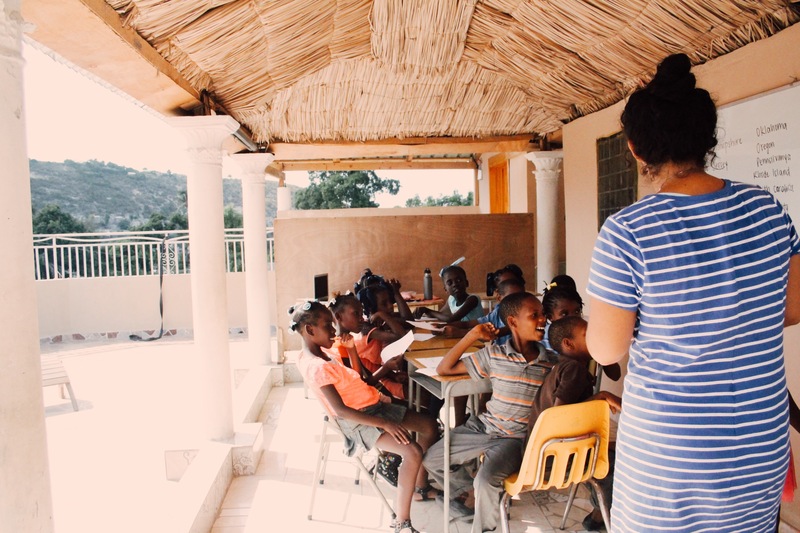 Which volunteer program you choose will GREATLY affect how you'll pay for your international adventure. You could be saving thousands of dollars - or paying thousands more - based off this one decision. This is something I didn't even consider when I was looking at ways I could go abroad (all I cared about was jumping on a plane and having an adventure), but looking back ... I have to say this is huge. Seriously. If you're going to participate in a travel program, support is really what you're paying for aren't you? If you don't care about having a support system then you really could just travel on your own and do it as cheap as you want. But, I'm glad I went with a program. One of my fellow volunteers got really sick while we were volunteering in China and I needed to help her see a doctor. I was so grateful that there was a local Chinese Coordinator as part of our volunteer program (International Language Programs or ILP) who I could call for help. She drove us to the medical clinic, got us in right away, translated what was wrong and what the doctor recommended, helped us get the right medication, and drove us back home. There's a million unexpected things that could happen. If you're going to pay the big bucks to work with a program, make sure you get what you paid for. Look for a program that has American staff who actually respond to your calls, texts, and emails in a timely manner. For example, ILP actually gives their volunteers the direct cell phone numbers of the program directors who answer emergency phone calls 24/7. Look for a program that provides local, in-country support staff. ILP has several positions set up (both at home in the States and abroad) of people who are there to offer support in unique, specific ways. Psst - ILP spells out their support system in more detail here. You'll run cross programs that are cheap but don't offer support — which doesn't make it that great of a deal, if you know what I mean. International volunteer programs can be a week or two long or up to a full semester or even a year. You obviously know what works best for your schedule, but the insider trick is that if you want more bang for your buck ... volunteer for a longer period of time. Short trips (like 2 weeks) typically cost about the same as a longer trip (like 4 months). Can you believe that!? It's mostly because the majority of the costs are in operating the organization and making it possible for you to go volunteer, but have less to do with things like your housing and meals while you're abroad. If you opt to volunteer for a longer period of time you'll get many more experiences for a similar price. You might want to reconsider that short volunteer trip and opt for a longer one. Volunteer programs typically have a one-time fee in order to participate (many times it's called a program fee). It often includes things like a participation fee, housing, meals, etc. They might even throw in a "free" t-shirt or "free" backpack. The thing you need to pay attention to is what is included in the program fee. Get out a piece of paper and make a table/chart listing what the fees cover from the programs you're interested in. If you compare them side-by-side, it gets much easier to see which is a better deal. This also helps you quickly understand what's not included (AKA the hidden fees). If you're looking at two programs that both cost about $2,000 but then you see that program A includes your flight but program B doesn't ... well I think you can figure things out from there. Just mentally add another $1,000 or more onto Program B's costs depending on where you're flying to. Just as a heads up, ILP includes your roundtrip international flight in the program fee (sweet!) and you can see everything else it includes right here. Here's the thing ... different parts of the world are more expensive to live in than others and different cities in the same country have a different price tag (living in New York for a summer is going to cost you a lot more than living in Salt Lake City right?) After you pay the program fee, you still need to consider what it will cost you to do activities, shop, and get around while you're exploring your new country. Ask the organization about their different locations where you can volunteer and make sure you consider the cheapest countries to travel to. Ask them to help you be placed somewhere that is more budget friendly. In general places like Europe (especially Western Europe) and Africa are going to be the most expensive locations - you might even have a higher program fee here or have other hidden costs that are country specific and required (like immunizations for example). My recommendation for you is ... go to Asia! It is incredibly cheap to live there when you're thinking about things like transportation, eating out, and even excursions. I volunteered with ILP in both China and Thailand and spent nearly half as much as I did when I volunteered in Europe. We even wrote about things that are just plain cheaper in China than anywhere else. 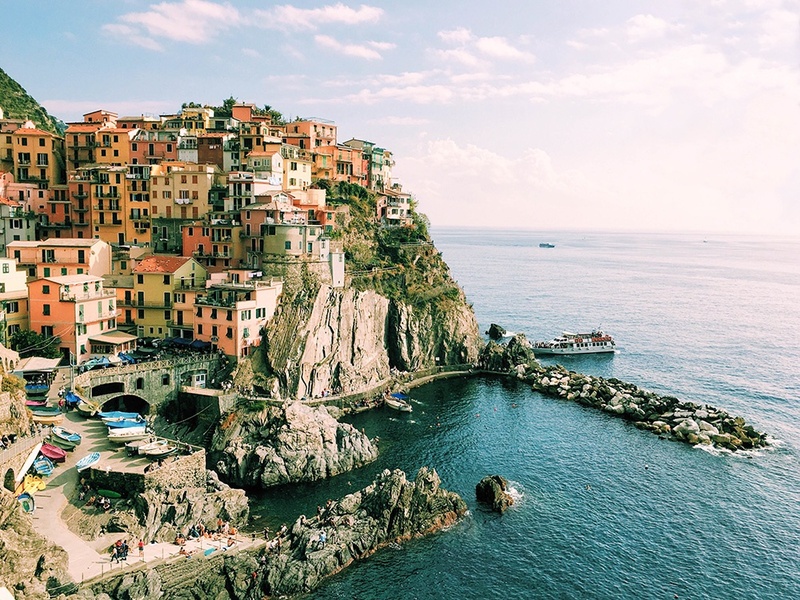 Check out all of ILP's location options here but we put together our top country picks that are cheaper for traveling. Getting some insight from someone who's actually volunteered on that program before is so valuable. They can let you know if they were glad they did it, how much they actually spent overall, and any hidden fees they weren't expecting. If you have a friend who's volunteered before they're an obvious place to start ... but what if you found a program that looks cool but don't know anyone who's done it? At ILP, we have an easy system set up for this. First, everyone who works in our office has been a volunteer first - this post lets you know how you can get in touch with us at ILP to chat about our experiences living abroad. We also have an Instagram account (@ilptakeovers) where you can see what our volunteers are up to. We have a couple of our current volunteers do a takeover and post about what life looks like for them in another country. There are major discounts volunteers can take advantage of. This will vary from program to program, but it's something to think about and can make a huge impact on decreasing your costs. It never hurts to ask what their current discounts or promo codes are especially if they can knock off a few hundred dollars. For example, ILP waives your $30 application fee if you refer a few friends to the program (they don't even have to go, all you do is share their contact info with ILP). This is insider info though ... you need to ask them about it when you apply! That's my biggest secret for seeing more than 20 countries on a budget - I took advantage of ILP's Head Teacher deal. Because you have experience volunteering with them once before and showed that you were a reliable volunteer, they will completely waive your program fee (or significantly reduce it depending on which location you're going to) AND they also provide you with a stipend to help cover your spending while you're living abroad. I'm not the only one snagging this deal though. Ariel did 7 semesters abroad for the price of 1! There are student discounts that can really reduce your travel costs, so make sure to take advantage of that as much as possible. Anytime you're paying an entrance fee for things like parks, museums, and shows while you travel you should be asking if they offer a student discount. For example, there's so many places in China where you'll pay half as much as a traveling student. Check to see if your volunteer organization has a payment plan (like ILP does). If they do, you can apply now and snag your spot without having to pay anything right then. Then, use the tips we have below to pay for your program when those monthly payments are due later on. If they don't and you have payments due soon, we've got a couple tips on ways you can get a personal loan to cover the costs. Essentially what happens is you get a loan, pay your volunteer program fee, and then make monthly payments to the place you got the loan at. It's a way to get a around having to pay everything up front if you don't have the cash right now. Just beware of interest rates if you go with this method. Take advantage of those low student rates if you can't afford it right now. 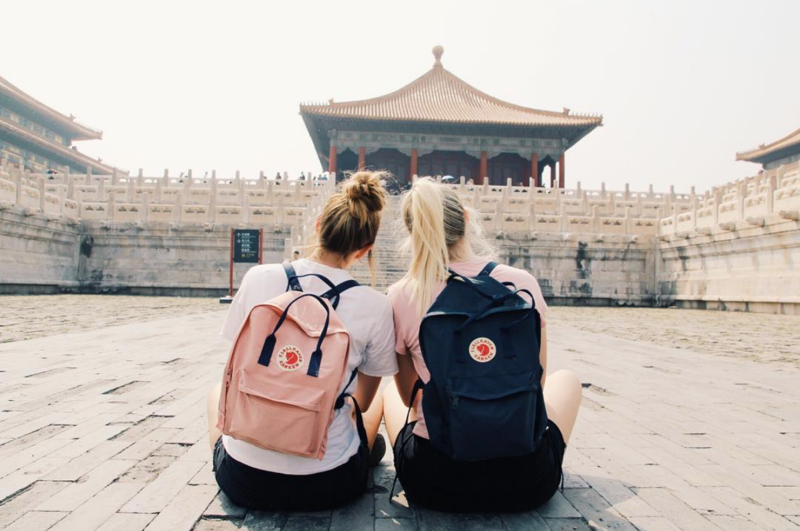 There are a ton of reasons to travel while you're young, but the hard part is that most college students don't have budgets don't include vacations all over the world to amazing island beaches, World Wonders, and famous historical sites ... right? Well, maybe they should! 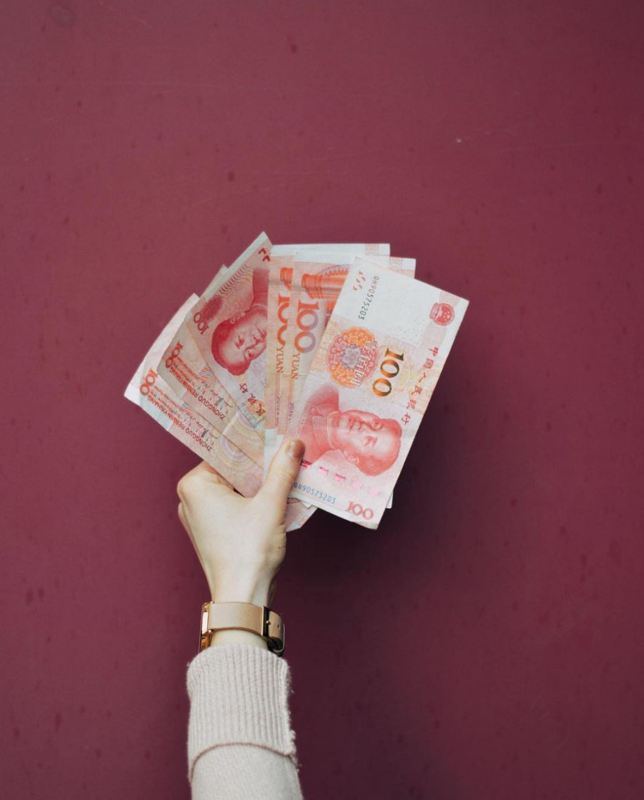 Students have access to really low interest rates on loans, so even if you don't have a huge piggy bank of cash set aside - when will it ever be the perfect time to travel? There's even some types of financial aid that you don't have to pay back (like Pell Grants). Did you know you can use your financial aid to help pay the costs of volunteering abroad? Think about it. If you were going to use it pay your rent and buy your meals during your semester at college, you might as well do it during your semester living in another country. Learn about the basics of all types of financial aid here (like the difference between pell grants, loans, and scholarships) and then head over to apply for your student aid! If your financial aid is something like a scholarship, directly from your university applied directly to your tuition, then you won't be able to use something like that for you ILP program fee. But, if you're receiving other aid that is applied to your checking account to be used for your education, (like from the government) then that can be applied to your ILP program fee. Find ways to raise cash to put towards the good cause. 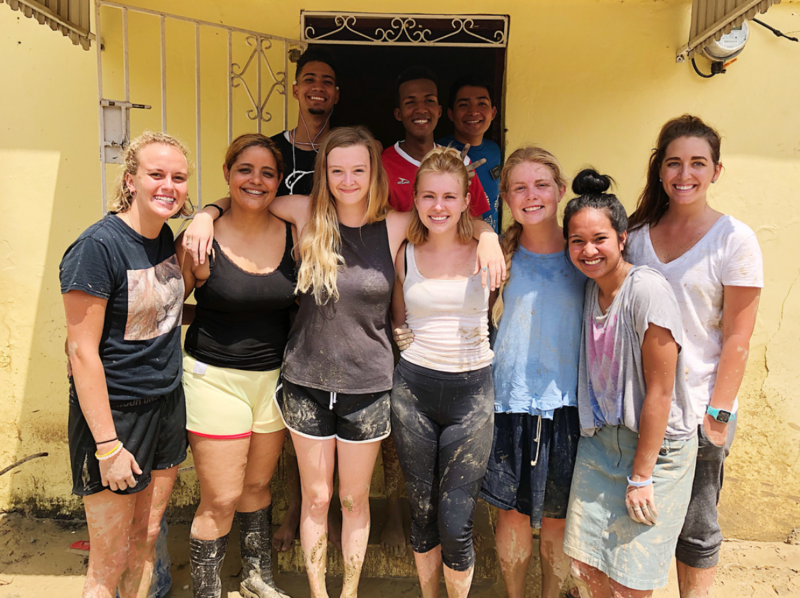 If you are participating in a service-based trip, fundraising is something you should consider doing to help fund your trip, donate towards your cause, or gather much needed supplies. I wish I had put more effort into fundraising because I have friends who paid for at least half (and sometimes all) of their program fee for volunteering this way. There's a million ways to fundraise so the trick is to just find ways that appeal to you and then work hard to make it a success. Okay you've done all you can to choose a budget friendly program, taken advantage of their discounts, applied for financial aid, planned a fundraiser for next weekend ... what else can you do? We're going to talk budget for a second. Don't scroll past this okay? One of the biggest things that can really make the difference is to make the most of what you have now while also increasing your income so that you can add every little bit to your piggy bank. Putting things in perspective can help make this budget easier to follow — would you rather spend $20 on a new shirt, or put that money towards a cheap flight to London? Actually ... this 70% rule is one of our favorites for saving. You'll be amazed how quickly you can save if you stick to it. And just as a fun little bonus, here's 10 more painless ways to save money! You might be surprised how much you can save if you buckle down and budget for a few months ... those dollars really add up and can make it easier for you to pay for your semester, especially if you've already taken advantage of discounts and fundraising. We've got a PDF guide that you can download to help you out with more money saving tips like these. It has our biggest tips we mentioned (so that you won't forget them) and some extra bonus ones that will help you pay less for a semester abroad, no matter what program you choose.